I wish that I could say that long ago I had thought to myself "why don't they make faux lashes out of intricate paper-cut patterns of things like deer and butterflies..." but alas, I did not. 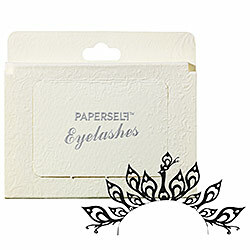 Lucky for us, a company called PAPERSELF did and they are now available at Sephora. 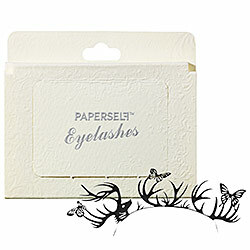 For $19 you can have an entire lash full of woodland creatures, peacock feathers, flowers or sea critters. Oh to be young enough to wear something like this. If I wore them then Cojo would have me on his "worst list". Visit Rachel Swartzlander's profile on Pinterest.